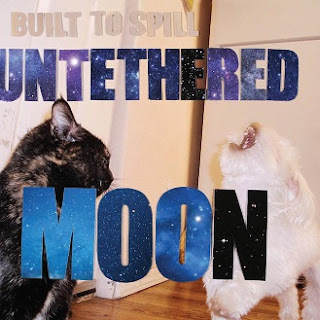 Today’s concert preview is more of a proclamation of how much I adore Boise-based indie rock group Built to Spill than a mere suggestion that you should see the show. From the opening bars of “Carry the Zero,” on their 1999 album Keep it Like a Secret, they had me hooked, and I devotedly followed their catalog as it grew. After a six-year hiatus, I was comforted to hear the group’s hallmarks - waves of gorgeous guitar distortion and playful tempo changes - when they released Untethered Moon last year. “Living Zoo” features both of those traits, as well as a funny video where two road trippers have a chance encounter with an occult gathering in the woods. But I’ve been told northern Idaho can get really weird, so maybe such an encounter isn’t that unusual? Be sure to catch the band this Sunday, September 18 when they play the 9:30 Club. Yours truly will definitely be there, as it will be my first opportunity to see them live. I’ll leave you with a bonus video for one of my favorite of their songs: “Hindsight”, a honky-tonk “tear in your beer” tune that provides an excellent canvas for lead singer Doug Martsch’s distinct twang. Whatever you're up to this weekend, we at MMS encourage you to be safe, have fun, and make sure there’s an excellent soundtrack to your activities.